Saint Paul, whose Hebrew name was Saul, was a native of Tarsus in Cilicia and a disciple o f the famous doctor of the Law, Gamaliel. He was a zealous persecutor of the Christians until Christ appeared to him while on his way to Damascus. 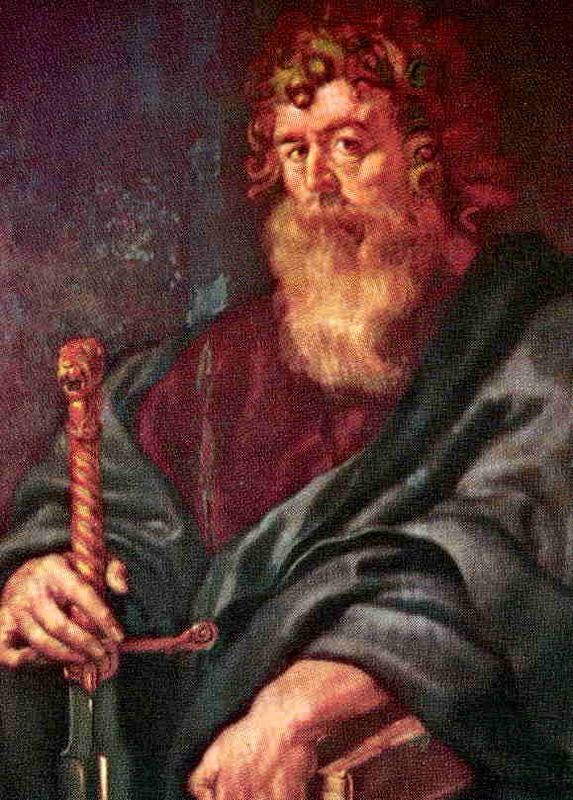 Paul became the great Apostle of the nations, whose many missionary journeys are recorded in the Acts of the Apostles. Saint Paul was beheaded in Rome under Nero. O glorious Saint Paul, who, from being a persecutor of the Christian name, didst become its most zealous Apostle, and who, to carry the knowledge of Jesus, our divine Savior, to the uttermost parts of the earth, didst joyfully suffer prison, scourgings, stonings, shipwreck and all manner of persecutions, and who didst finish thy course by shedding the last drop of thy blood: obtain for us the grace to accept, as favors bestowed by the mercy of God, the infirmities, sufferings and misfortunes of this life, that we may not grow slack in our service of God by reason of these vicissitudes of our exile, but that we may the rather show ourselves ever more devoted. Amen. V. Pray for us, Saint Paul the Apostle, . 0 God, who hast taught the multitude of the Gentiles by the preaching of blessed Paul the Apostle: grant unto us, we beseech Thee, that we who keep his memory sacred, may feel the might of his intercession before Thee. Through Christ our Lord. Amen. Indulgence of 500 days; plenary indulgence on the usual conditions, if these prayers are recited daily for a month.